We are happy to confirm that we are able to offer Awasi guests a “head start” into the Iguazu Falls. Setting out from Awasi Iguazu (the region’s only Relais & Chateaux lodge) at 7am, we enjoy breakfast with a view of the Devil’s Throat before entering the park from a location closer to the falls themselves than the standard entrance. This buys us close to 30 minutes before the crowds flood in. From this entering point, we are able to access both the lower and the upper circuits. Active guests can also head to the Garganta del Diablo, but this option requires high physical levels as it involves a 3km walk/jog to get ahead of the tourist train. Some guests enjoy this run, seeing it as part of their fitness routine, or an adrenaline rush, but it’s not for everyone! So, why get a head start? 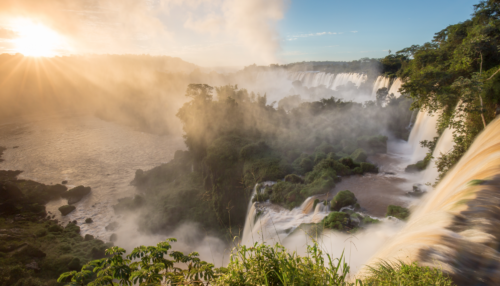 The Iguazu Falls is the second most visited destination in Argentina, after Buenos Aires. It is the world’s largest waterfall system and is, quite simply, epic. 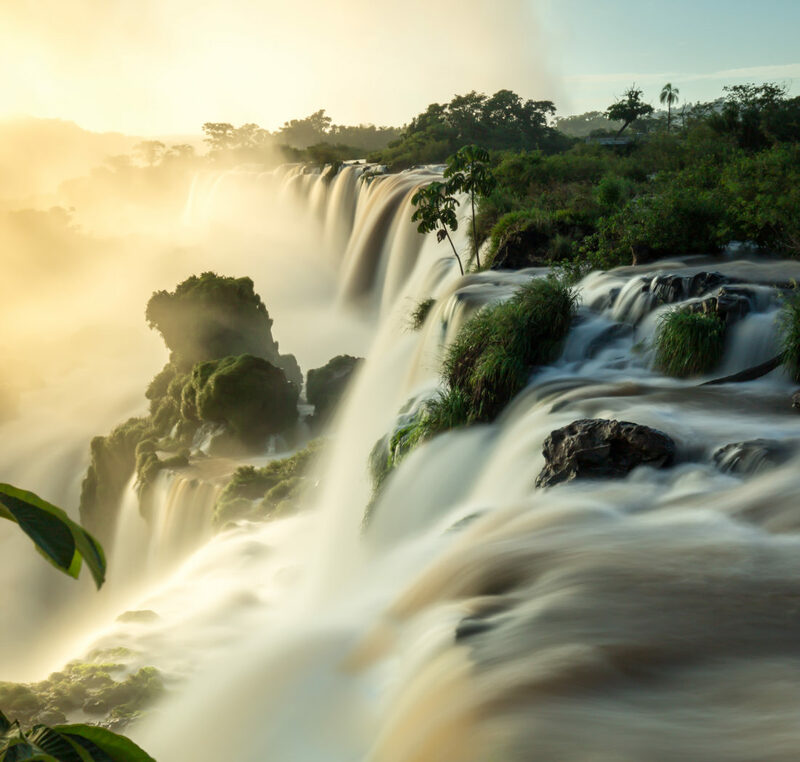 Although there are extensive walkways covering 7km on the Argentine side of the falls, a front-row view of the cascading water is unbeatable. 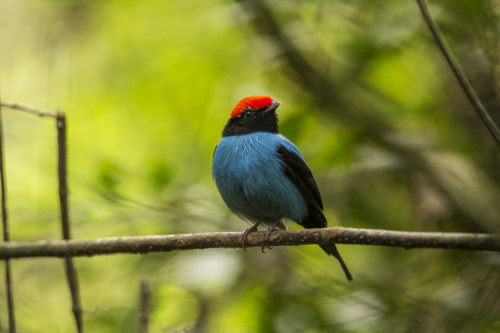 What is more, before the crowds arrive, there are greater chances of viewing wildlife, especially birds – there are more than 400 species of birds in the Atlantic Rainforest (Iguazu is part of the Atlantic Rainforest), many of them endemic. As the photographers out there well know, the light is best early in the day, another reason to reach the best viewpoints as early as possible. Lastly, the rainforest is known for its humid, hot climate year-round. By getting up and out early, our private guides can arrange the day so that guests are not out in the elements during the hottest part of the day.